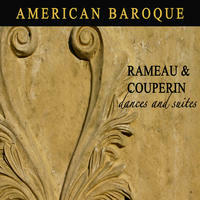 American Baroque: Spectacular baroque and classical chamber music. Founded in San Francisco in 1986, American Baroque brings together some of America's most accomplished and exciting baroque instrumentalists, with the purpose of defining a new, modern genre for historical instruments. The group's adventurous programs combine 18th-century music with new works, composed for the group through collaborations and commissions from American composers. An ensemble of eclectic, accomplished, and artful musicians, the performances bridge a gap between the edges of the new music frontier and the familiar roads to music of the past, and expands the repertoire and scope of historical instruments into the new millenium. In its early stages, American Baroque functioned as a studio band, its mission being to record hitherto unknown quartets by Telemann. 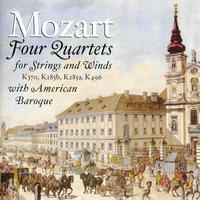 Recordings of the "Paris" quartets and the Fourth Book of Quartets were released and enthusiastically received. In 1991, the group recorded French Cantatas of the 18th Century with soprano Julianne Baird, again released to wide critical acclaim on Koch International Classics. In 1992, American Baroque began exploring the territory of performing new music written for historical instruments through its collaboration with composer, member and gambist Roy Whelden and his pieces Quartet After Abel and Gamba Quartet, which resulted in a CD release on the New Albion label in 1993. Intrigued by the unique timbres and subtlety of sounds inherent in their period instruments as well as the excitement and anticipation of performing new music, the group continued to pursue projects and programming that involved combinations of new and old elements. Another collaboration in 1995 with Whelden yielded the provocative CD Like a Passing River with poet and reader Rudy Rucker, also on the New Albion label. Since its founding, the ensemble has been featured at the Tage Alter Musik Festival in Regensburg, Germany; the Berkeley Early Music Festival; the San Luis Obispo Mozart Festival; the San Jose Chamber Music Society; University of California; the San Francisco Early Music Society; on National Public Radio and West Coast Live; and in the Opus415 New Music Festival. In addition, ensemble members perform and record together in the finest period-instrument orchestras in America throughout the year. Recent projects include concerts at the University of Vermont and at Bowdoin College, and a multi-tracked studio recording of Songs of Cold Mountain, a cycle of texts by the 7th-century poet Han Shan. 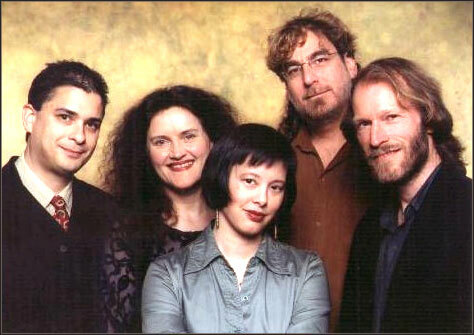 The 1998-1999 season included a commercial recording of eight pieces by the composer's collective, Common Sense, which were commissioned in 1996; and a theatrical and multimedia collaboration entitled "The Death of Anton Webern," written and directed by ensemble member Katherine Shao; the group will present a 2-week run of performances in May 2000. American Baroque has also received support from Chamber Music America's Millenium Commissioning Program to collaborate with Stanford University composer Jonathan Berger on his new work, Of Hammered Gold (for flute, oboe, violin, viola da gamba and digital bird organ); the work was premiered at Stanford University's Lively Arts series on January 7, 2000. The ensemble has been recognized through grants and awards from the Aaron Copland Foundation, the Mikhashoff Foundation for New Music, and the Zellerbach Family Fund, and most recently won first prize for the 2000 ASCAP Awards for Adventurous Programming. American Baroque remains the only U.S. chamber ensemble committed to performing both new music and 18th-century works on historical instruments, while continuing to explore the issues raised by both genres, old and new. 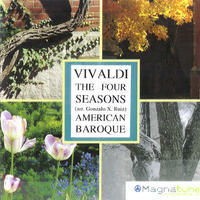 American Baroque lives in California, USA. Tagged as: Classical, Classical Period, Orchestral, Instrumental, Cello, Composer: Wolfgang Amadeus Mozart, Flute, Harpsichord, Oboe, Violin.